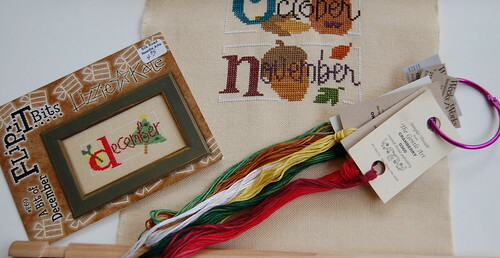 Now that all my fall stitching is done I have been getting my Christmas stitching in order. I have quite a few projects I'd like to get finished before then. I figure if I devote a week or less to each one then I think I can do it! 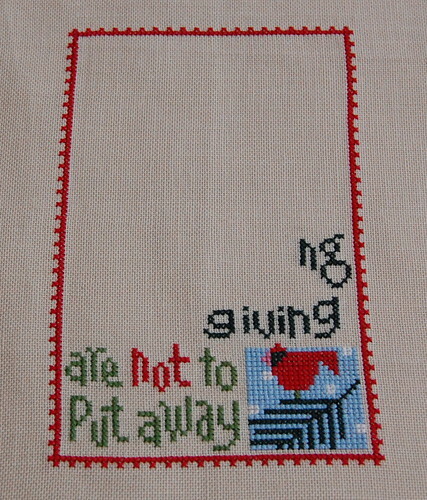 First, I'd like to get my Flip-It Bit banner finished by getting "A bit of December" stitched. Next I would like to finished up my other Lizzie Kate Project "Christmas is Forever." I'm stitching it on 32 ct. Maple Sugar. I only stitched a little bit and then thought I would put it away until Dec. 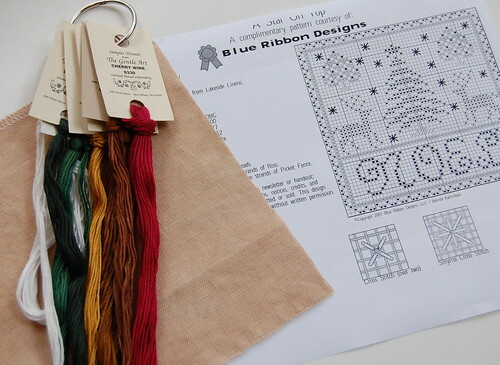 I would also like to stitch this little freebie ornament by Blue Ribbon Designs called "A Star on Top." 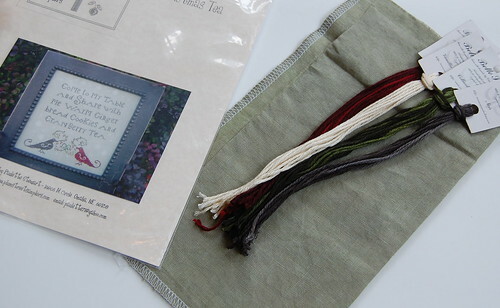 Last, but not least, if I have time after all this I would like stitch "Christmas Tea" by Plum Street Samplers. I was going to stitch it last year, but ran out of time. Do you think I can do it?? Maybe?? Write soon! Gosh, you sound like me! I've been starting a lot and not doing a ton of finishing! I love it all so much I guess I just want to do a little bit of everything! Sure, you can do it! I like all of the holiday designs you chose. Really cute starts! You can go it, Nicole! I'm always amazed at how much stitching you accomplish! I'm looking forward to seeing Peppermint Lane. Have fun! I agree with Jane! I love the colors for Peppermint Lane! I think you can do it! Your flip-its look wonderful! And I love all of your new starts...every time I see your L*K one, I think I need it! I just ordered fabric for A Christmas Tea; I hope to stitch that one, too! 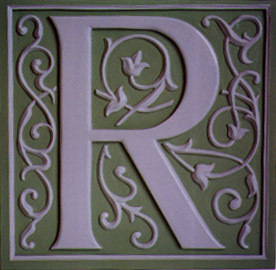 your finish looks great and i think you can stitch up all the other ones planned. Good luck with your Christmas stitching. 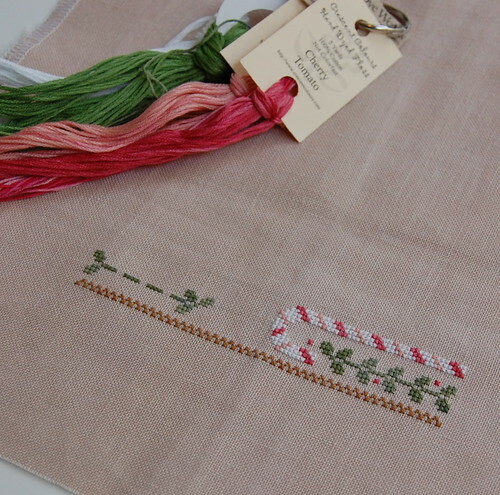 I would love to stitch "Peppermint Lane", too. I can't wait to see your finish! It seems like a lot, but I'm sure you will be able to do it. I love all the Christmas stitching you have planned! Thanks for the link to that freebie too - it's wonderful!